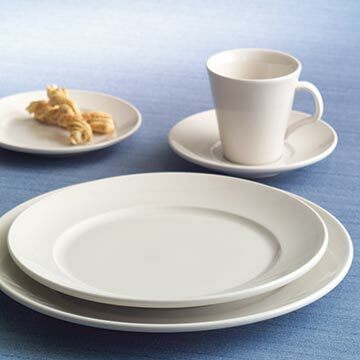 Homer Laughlin's China dinnerware is their answer to contemporary style while sticking with time honored tradition. Retro meets chic with a shallower well and elevated angle to form a higher, more dramatic stage for chefs to presentation their creations. Designed with the past, present and future of foodservice in mind, RE-21 offers any environment a cutting edge quality without compromising classic touchpoints.